A 151-year-old law that criminalises blasphemy is on the chopping block this week thanks to a parliamentary majority. Government-party Venstre has changed its stance on the issue and the contentious law – which has only resulted in very few cases in Danish judicial history – is now set to be repealed. “This should have been done a long time ago, but it’s great that it’s happening now,” Bruno Jerup, Enhedslisten party’s spokesperson on church issues, told DR Nyheder. 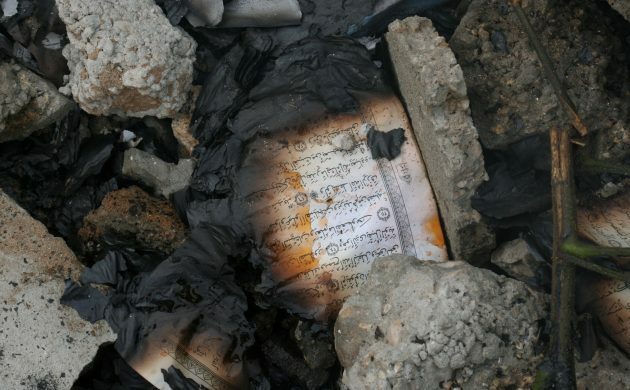 The blasphemy debate has hotted up recently as a man from north Jutland became the first person since 1971 to be charged with the offence earlier this year for burning a copy of the Koran in 2015 and putting the video on Facebook. Currently the case is still officially ongoing, but the law change – expected on Friday – could put an end to that. In total, the blasphemy law has resulted in six cases without convictions and just two convictions in 1938 and 1946. Tthen in 1946, two people were fined for undertaking a ‘baptism action’ during a masked ball in Copenhagen.